If you want the easy pairing of AirPods but without the wonky fits, these may be the earphones for you. The BeatsX are among the best-looking earphones we’ve tested. Available in a black or satin silver finish, the earbuds boast a mature, minimalist aesthetic that leans heavily on Apple’s design language. You could see these in these ears of a Fortune 500 executive behind his desk or a college student at Starbucks and in neither case would they look out of place. A length of Flex-Form cable—Beats’ name for the heavy, semi-rigid flat cable that runs between the headset’s two electronics pods—drapes across the base of the neck when you wear the earphones. Lighter gauge flat cabling runs between the pods and end caps. Midway up the right cable, you’ll find the headset’s inline volume/audio track and the Siri controls and microphone. Because the cables are flat, you’re less likely to find them tangled up after you pull them from your pockets. If you’d rather not jam them in your pockets, the magnetic ear caps snap together when you’re not using them so you can leave them hanging around your neck. Decent sound with the right amount of "cool." At 0.74 ounces, the BeatsX are far from heavy, but that also means they aren’t that tough. That’s not to say they’re built poorly; they just feel less durable than similar earbuds like the Jaybird X4, which sell for around $30 more. There’s enough of a gap between the multi-function button and the inline control/microphone pod, for instance, that I could easily get my thumbnail under it. A quick yank would probably suffice to rip the Flex-Form cable from the pods. The BeatsX also don’t have an IPX rating, so it’s safe to assume they wouldn’t survive a soaking. 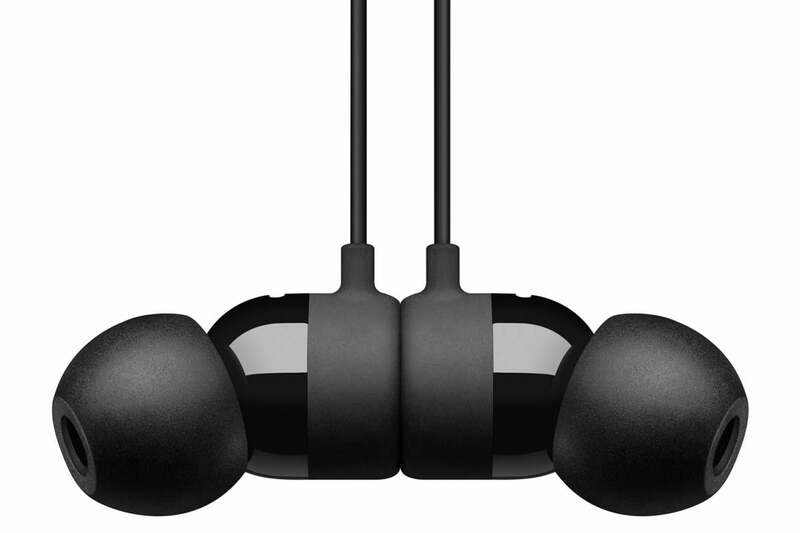 It was hard to to justify buying the BeatsX with these shortcomings when they debuted in 2017 for $150, but the recent price drop makes them easier to forgive. The BeatsX also feature Apple’s W1 chip, which allows the same easy pairing with iPhones and iPads that we find in AirPods. This means it’s just as easy to pair the BeatsX with the same iOS devices. Turn them on, hold them near your iPhone or iPad, and you’re in business. After the first time you pair them with a Mac or iOS device, they’ll also be paired with any other Apple-made hardware associated with your Apple ID. Once you’ve used this feature, you’ll be spoiled for life. Connecting a Bluetooth device to an audio source through any other means will feel like a chore. The magnetic caps help keep the BeatsX from tangling. The W1 chip also handles the earbuds’ power management. 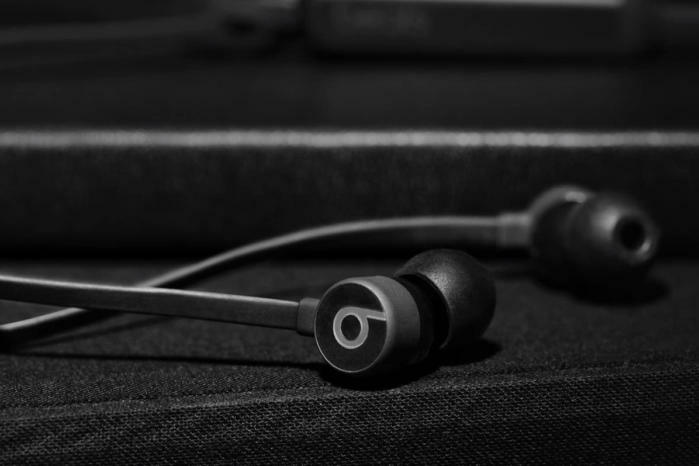 According to Beats, the earbuds provide up to eight hours of runtime before they need to be recharged. This estimate is mostly accurate, provided they’re used at low to medium volumes. If you want a full charge, you’ll need to keep them plugged in to a USB power source with a Lightning cable for around 45 minutes. Too busy to hang around for that long? No problem: Their Fast Fuel charging system gives the earbuds two hours’ worth of runtime in just five minutes. The small size and light weight of these earbuds make them insanely comfortable to wear for a few hours at a time. Getting a decent fit shouldn’t be a problem for most people as they ship with four different sizes of silicone ear tips. I found the passive noise cancellation offered by the ear tips was reasonable at middle to high volumes, and the microphonics caused by the headset’s cables brushing against me as I walked around were minimal. I also found that the wireless connectivity of these earbuds remains rock solid regardless of whether my audio source was in my pocket or 20 meters away. Beats earphones and headphones tend to deliver massive amounts of bass, but these are relatively subdued. There’s still plenty of bass, but there’s also a good measure of treble. High frequency audio, such as the wailing of Good Taylor’s bagpipes in The Real MacKenzies’ "My Head is Filled With Music," cuts through the track’s relentless tom-tom drum line. The Flex-Form cable is both stylish and useful. It’s too bad that you can’t say the same thing about mid-frequency audio. While you can hear it, much of its nuance gets lost in the thumping bass of the BeatsX. In "Jericho Road," for example, the grit in Steve Earle’s singing gets eroded by the earphones’ ample bass. The same goes for the sound of Jeremy Chatzky’s bass guitar on the same track: I’ve always enjoyed the occasional slap of Chatsky’s fingers on the strings, but that’s diminished with the BeatsX. 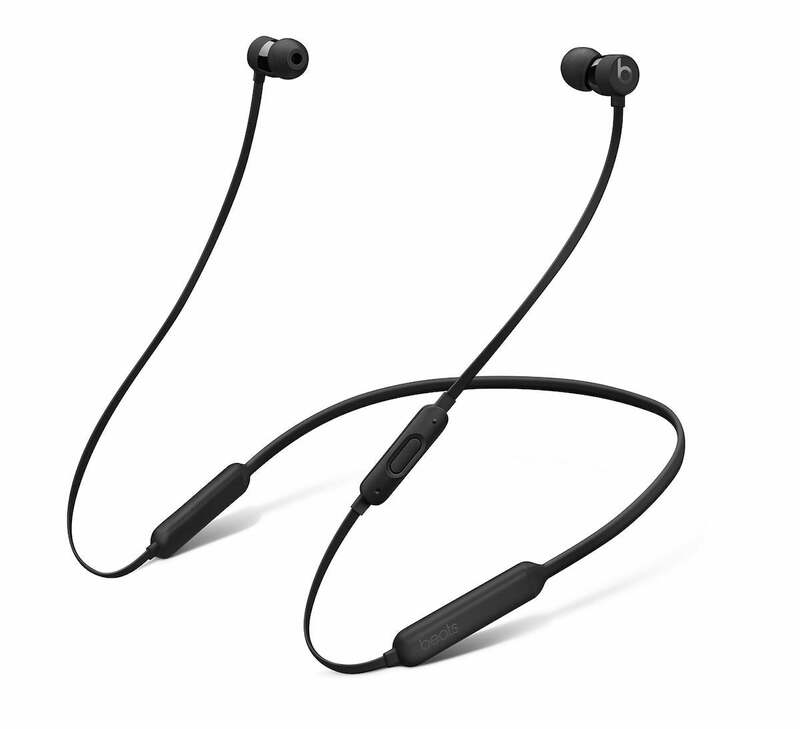 The BeatsX are a fast charging, good-looking pair of Bluetooth earphones. For those who prefer bass in their music over all else and plan to use them gently, they’re a pleasing alternative to Apple’s AirPods.